I was born in Sydney in 1973 and lived in Newcastle before moving to South West Rocks. I started with Booroongen Djugun College as a student training in Certificate III in Community Care Nursing (Assistant in Nursing) in 1995. I have risen through the ranks of Booroongen Djugun College. In 1996 I became Trainee Course Coordinator, then College Coordinator. From 1998 – 1999 I became the Deputy Director of Training. Booroongen Djugun College then opened a campus in Newcastle in 2000 and I moved to Newcastle and became the Manger of the Hunter & Central Coast regions. I next made the move back South West Rocks and resumed my role as the Deputy Director of Training. I am currently Director of Training and Services of Booroongen Djugun College. During this time I have also been a trainer in many areas ie. Department of Corrections in Cessnock, Muswellbrook, Grafton, Tamworth training ATSI Health, Aged Care Work, Business, Governance, Frontline Management, Assessment & Workplace Training and First Aid. As well as being on the National Working Group for the writing of the new Aboriginal and Torres Strait Islander Training Package. 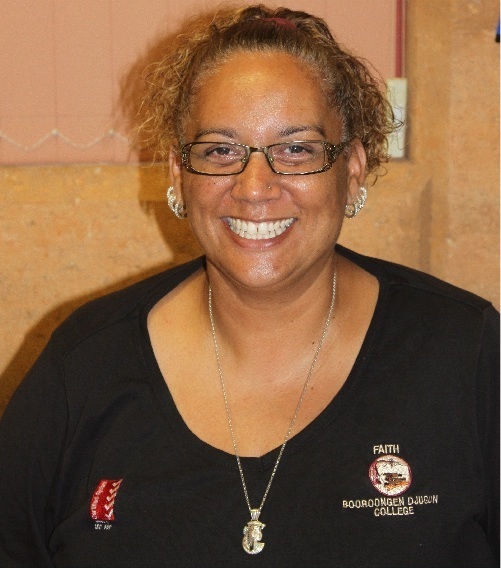 Booroongen Djugun College (BDC) delivers nationally accredited courses training to Aboriginal people into the organisation in the community at “the grass roots level”. Courses are written from an Aboriginal perspective to make the courses culturally appropriate to the community due to the hands on style of delivery and numeracy and literacy components of the courses. I have been with Booroongen since 2005 starting as the Personal Assistant to Gary Morris and Val March. In my current position I assist in maintaining and improving the many systems and documentation that are required by the national regulator for Australia’s vocational education and training sector, The Australian Skills Quality Authority (ASQA). I am also one of two Quality Assurance Officers for the College who ensure the ISO9001:2008 Standards are upheld and the highest quality training is provided to our students. Jessica has lived most of her life in Kempsey Completing her Year 12 HSC at Melville High School in 2004. 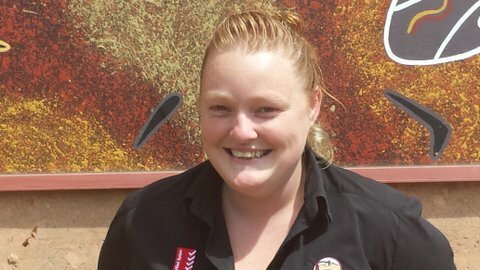 She then started her first job at Booroongen Djugun College working in the Distance Education Unit in 2005. It was here she found her feet and took a liking to administration work. Between 2006 -2013 she extended her achievements and worked throughout local business such as RTA, Dalaigur Preschool and Home Care. However Jessica has now returned to the College to advance her career in Administration. 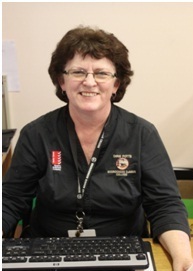 She aims to support her community and others through building good relationships with her students and helping them gain qualifications utilising the educational resources Booroongen Djugun College have to offer.